Home » Hobby News » Have you taken the WSS 2017 Great Wargaming Survey yet? 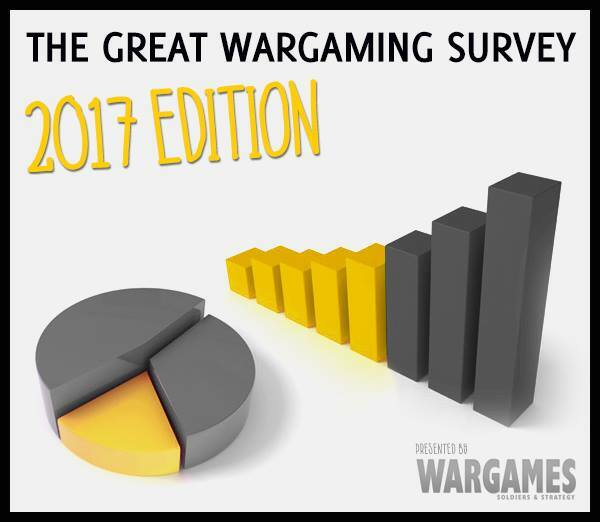 Have you taken the WSS 2017 Great Wargaming Survey yet? Wargames Soldiers & Strategy Magazine are once again running The Great Wargaming Survey. It only takes a few minutes to complete, and you will gain a discount code to spend at WSS for your trouble. If you want to complete the survey, do so by following this link. 1 Comment on Have you taken the WSS 2017 Great Wargaming Survey yet?